It is with great sadness that we share in announcing the death of our mother, Marlene Jean Florek, who passed peacefully with a smile on January 10, 2019 at the age of 82. Her zest for life is what will be remembered most by her three children, Bernadette Haverson (Martin), Jo-Ann Florek, John Florek (Wendy) and her grandchildren Brandon and Katelyn. She will be remembered by her brothers and sisters Wayne, Dianne, Sharon, Clem and Debbie and families. 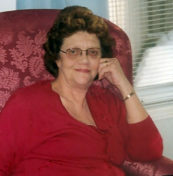 She will be reunited with her husband Henry, along with brothers Doug and Lornie. She will be fondly remembered by many nieces, nephews, cousins and friends. Marlene has been cremated as per her wishes. No service is being held but a celebration of life will be held at a place and time to be determined. Donations may be made in her honour to the MS Society.